Much like South Beach, I avoid Brickell the same way I avoid genital warts: by any means necessary. I have a poor frustration tolerance and if it takes me more than 5 minutes to find a reasonable parking spot I say, "PLP with this crap." I had heard some good buzz surrounding OTC, but again the fact that it was in Brickell warded me off. My friend, Burger Beast, had actually been and told me that I'd really like it. The place itself has a modern, industrialized cabin in the woods feel with a help yourself attitude. 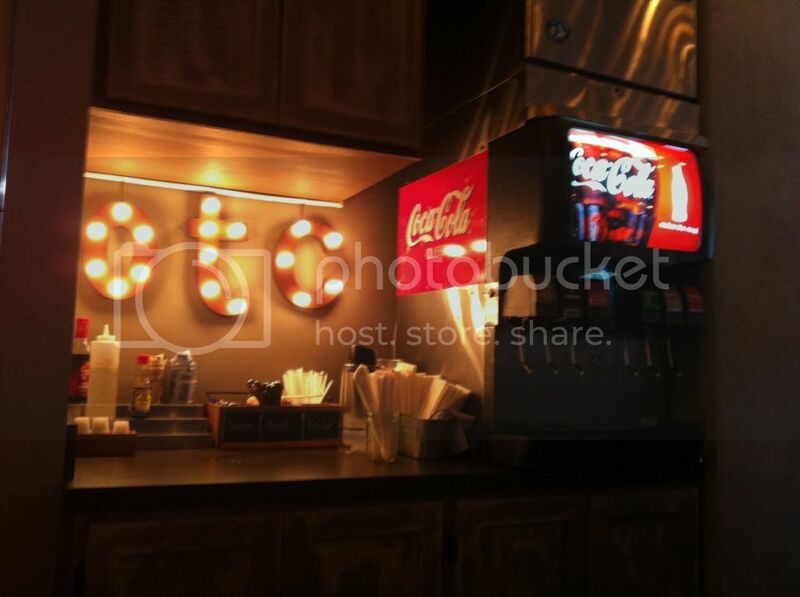 You walk right up to the counter, order your food, fill up your own cup and have a seat inside or outside. Your food is brought out to you on wooden cutting boards or on small iron-cast skillets, ain't nobody got time for plates around here! The restaurant itself is located on the southern end of the Brickell Mary Village madness, so parking wasn't that bad. I couldn't decide on what slider I wanted, so I decided to go with their sampler, which brings one of each of their sliders. 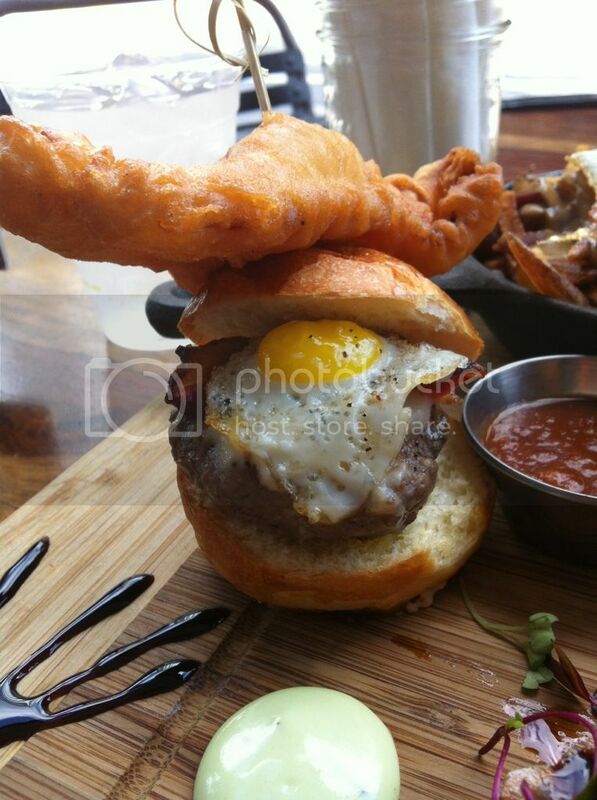 First up their La Frieda Slider which comes topped with a fried quail egg, bacon and their homemade cheese sauce. It comes topped with a piece of deep fried bacon as a garnish, yep.. deep. fried. bacon. 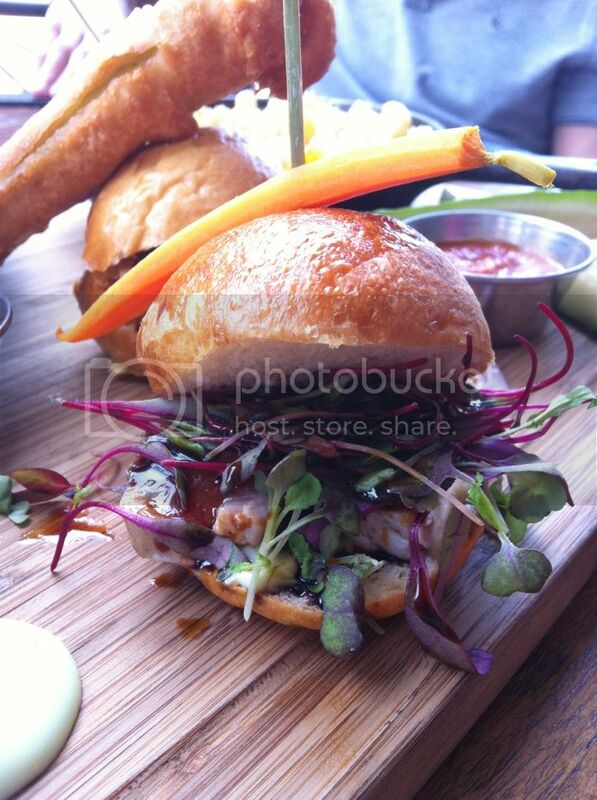 The slider is delicious and would get it again, no questions asked. Next up is the Pan Seared Tuna slider; I've never been a big fan of tuna burgers or fish sandwiches in general, so I was a little apprehensive about this one. 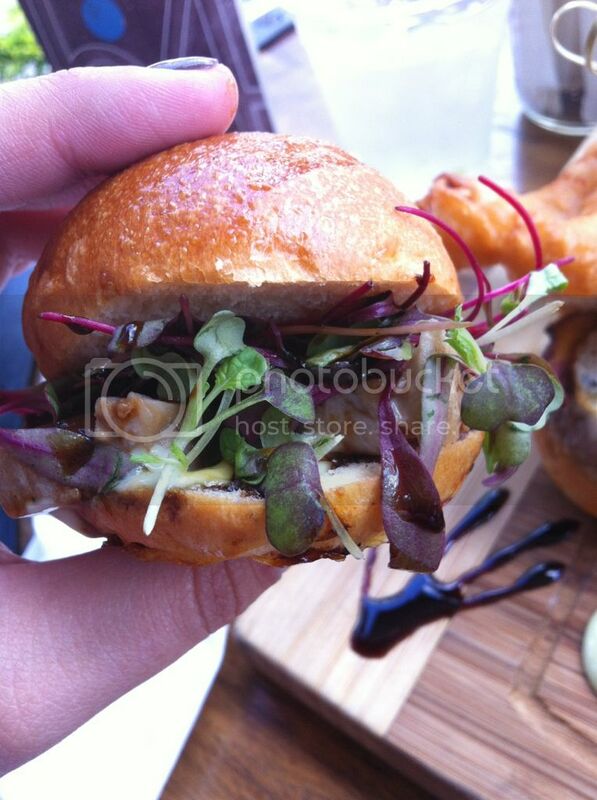 Thankfully the guys at OTC proved me wrong, the flavors on this slider were great with the wasabi mayo, touch of eel sauce and cilantro sprouts. Only thing I would've liked to have seen a slightly thicker cut of salmon, since it seemed to get a little lost in all that bread. Either way, seriously a great tasting slider. 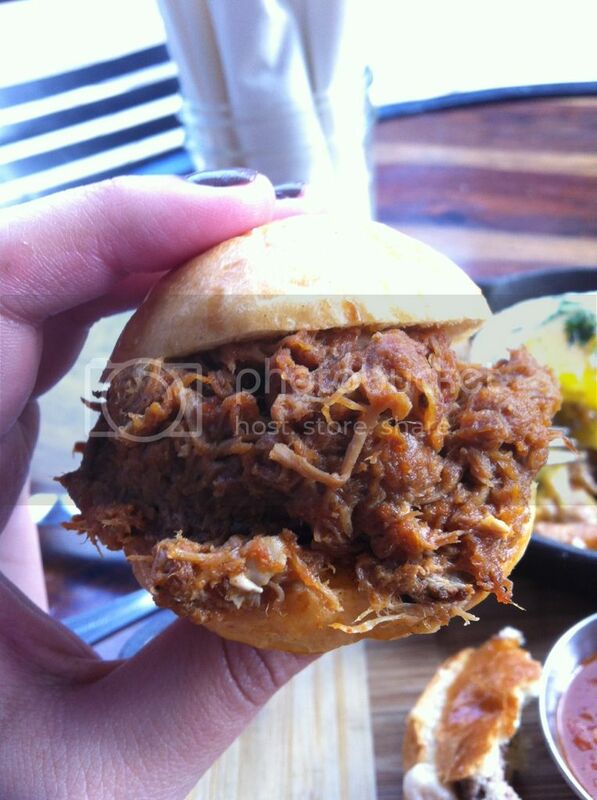 Last and most definitely not least, is their pulled pork slider. This isn't your typical pulled pork, this is some spicy, karate chop to the throat pulled pork. Really nice twist to the pulled pork we're all accustomed to, and I really liked it. Up next I tried their mac and cheese, naturally. I don't know what it is about mac and cheese that makes it so great, the nostalgia, the sense of comfort it brings or the cheesiness. 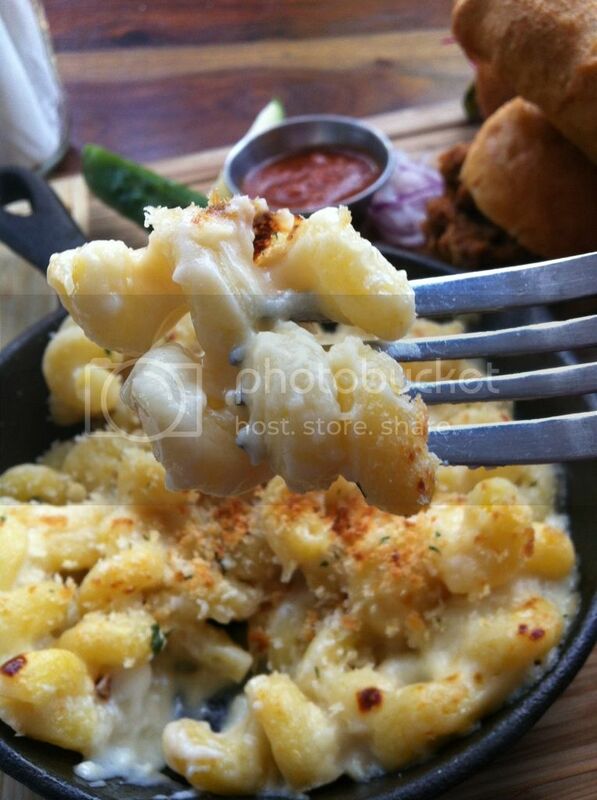 I went with their cheddar mac and was so happy (and relieved) that it was delicious. Sometimes restaurants make dry or under-seasoned mac and cheese and it makes a fat girl like me very sad. Luckily, OTC got it right with their cheddar mac and cheese. 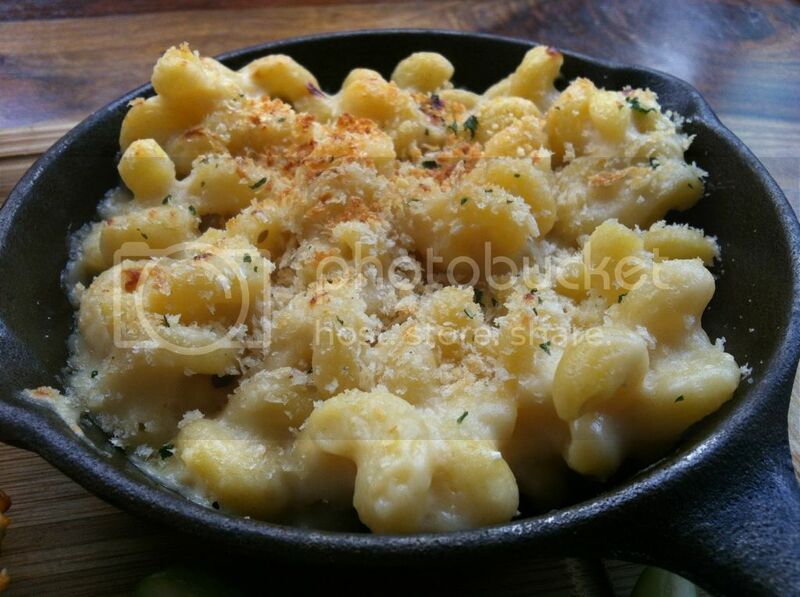 The mac came topped with a crunchy Parmesan crust, which gave it a nice little variety in texture. I can't attest to their Maine Lobster mac or Nueske's Bacon mac since I didn't try them, but I will try them eventually and report back! Lastly, I tried their Bacon, Egg and Cheddar Cheese fries. Yep, you read that right. 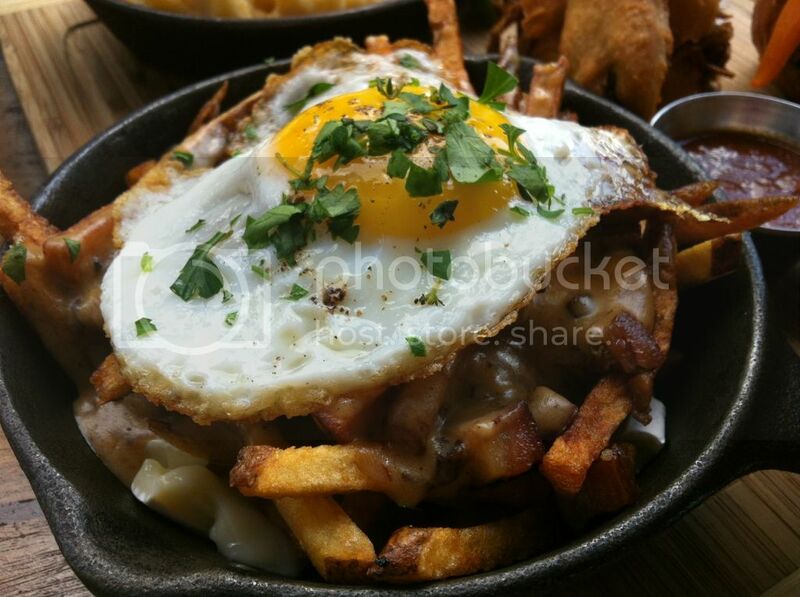 They got their seasoned fries topped them with chopped and slightly thick chunks of bacon, slathered cheese sauce over them and dropped a fried egg over the top. These fries can easily be a meal all on their own or you can share them, if you're into that sort of thing. 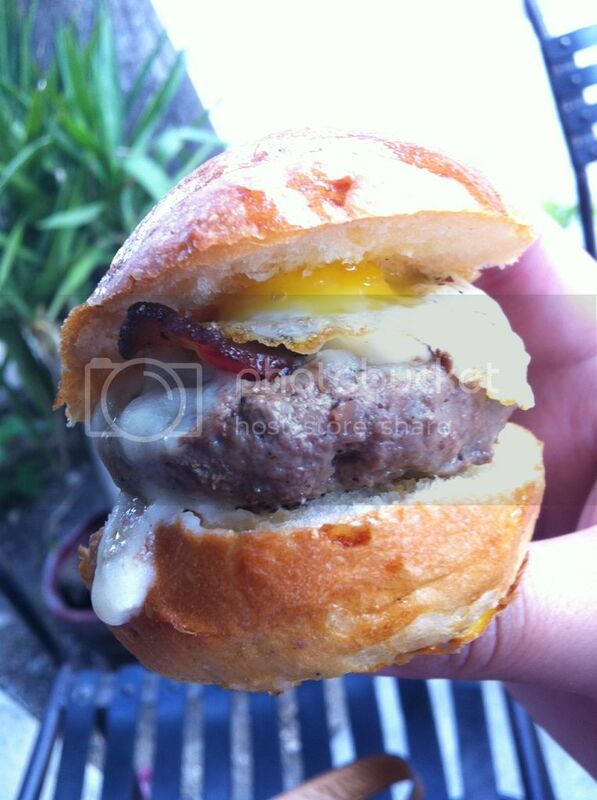 The cheese sauce, the hint of maple from the bacon and the runny egg yolk were all great in my mind. After my meal, I gloated to my best friend with sweet text that read, “HAHA Motha fucka, look at what I just ate!” Two days later I came in with my best friend to check out their brunch. My best friend got their steak and eggs, which is more short rib than actual steak. The Short rib was quite possibly the largest hunk of short rib I had ever seen. 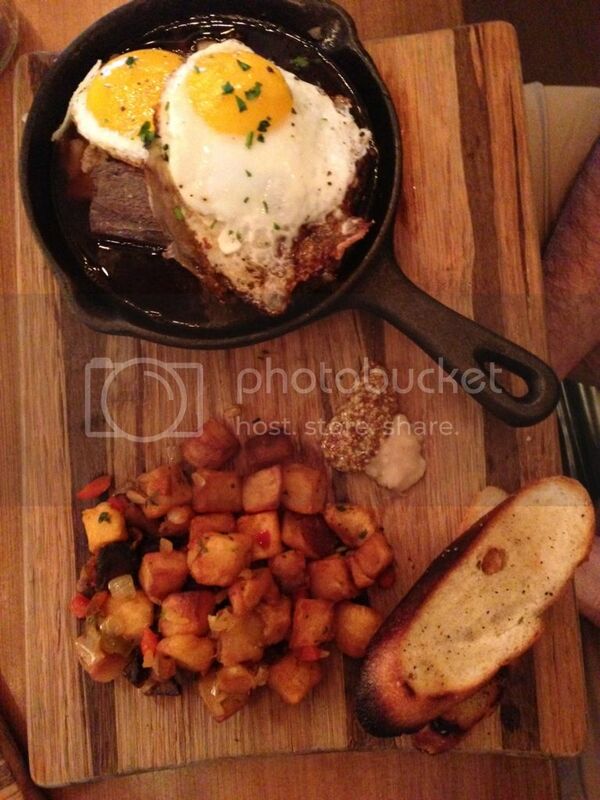 It came topped with two fried eggs, home fries and some toasted baguette. 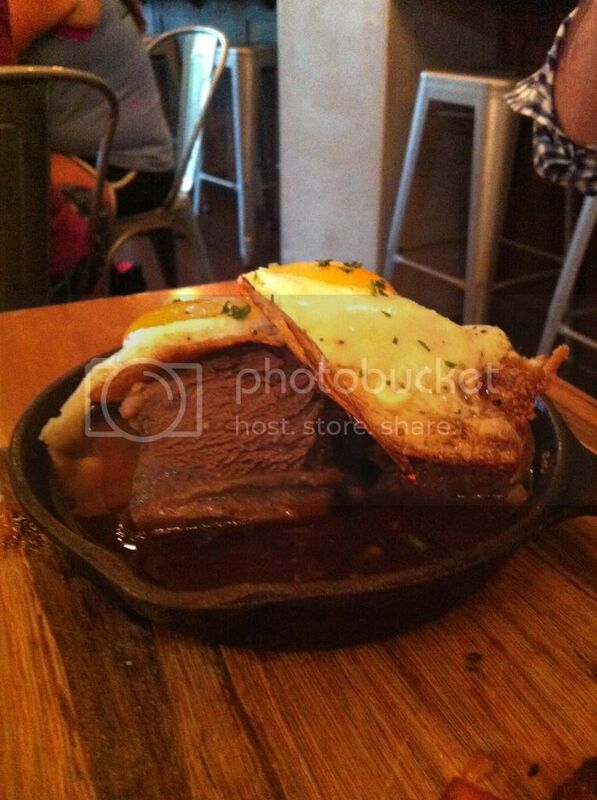 The short rib come in a cast iron skilled with a good amount of aus jus. Although the meat is really tender and “fall of the bone.” making sure not to get splashed with some jous seemed to be quite a task. Flavor-wise, the meat was delicious. I went with their fried chicken and waffles, their fried chicken was sliced chicken breast that's been seasoned, breaded and fried. It's served with some honey butter and a side of pure maple syrup. 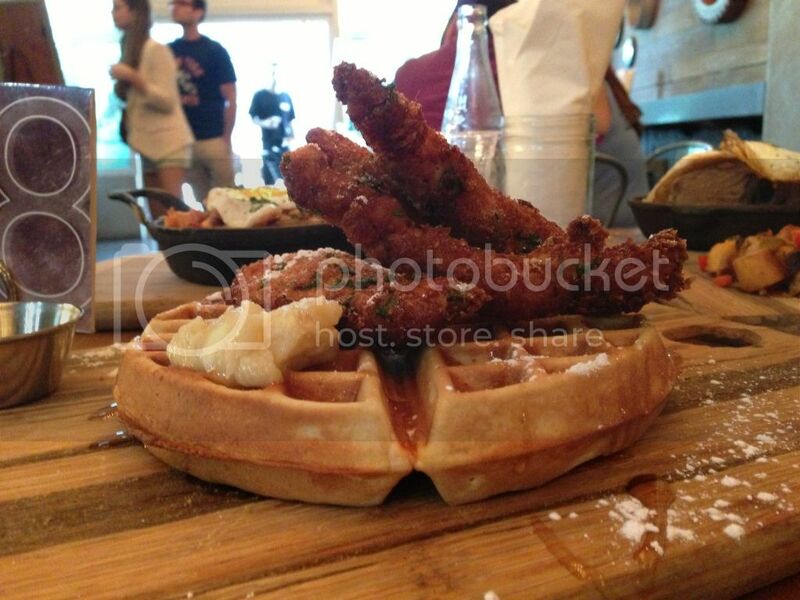 The fried chicken was amazing, my only small issue was that the waffle was a little on the cold side. Other than that, the flavors were all great. 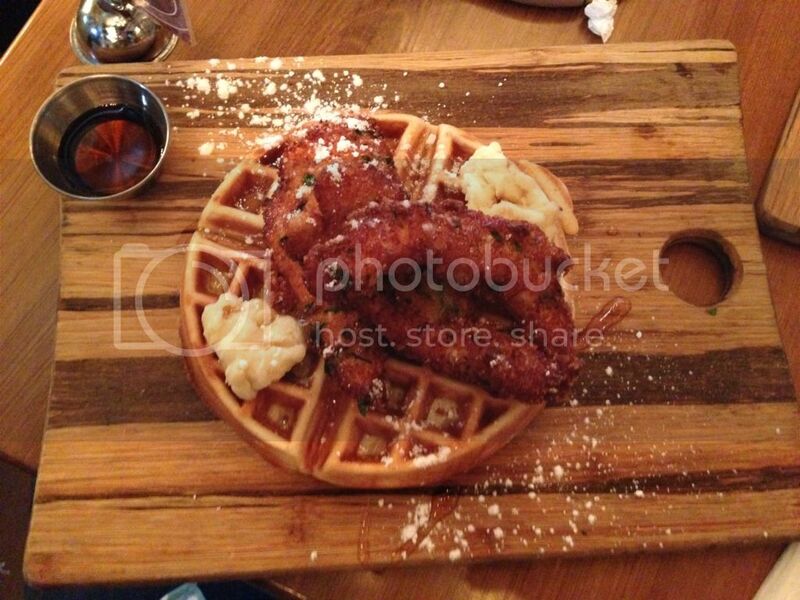 The honey butter went perfectly with the waffle and savory fried chicken. I'd get this again and I was left wanting to try their tacos, because my best friend didn't want to split them with me. I'll be back to this place soon enough, too many things on their comfort food menu that I want to check out. Especially when they have some pretty amazing happy hour specials like $1 oysters on Fridays. Granted parking can be a pain, but if you live in the Brickell area or are willing to make the drive check this place out. Especially, if you're looking for good comfort food with no fuss and friendly service. Omg! 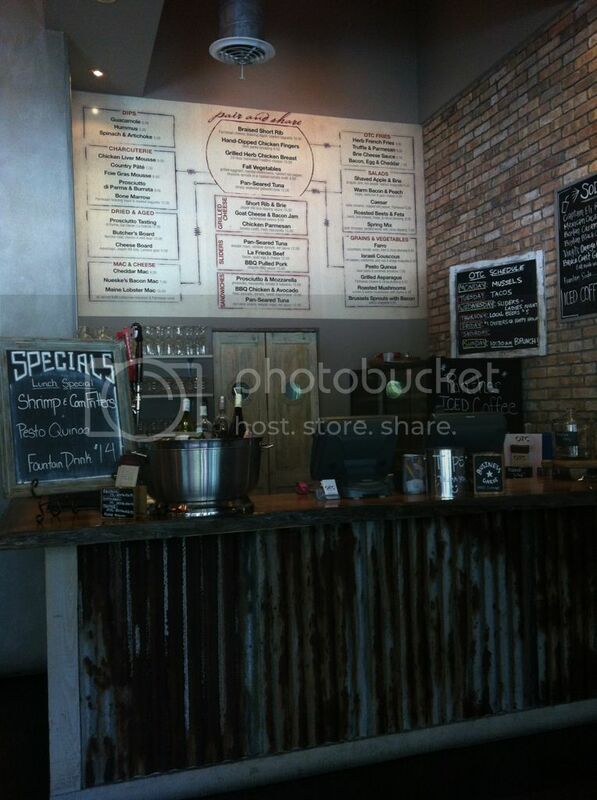 I want to try this place so bad! Great review and pictures!Let's see if the parking is not so much of a hastle. i agree with you wordy girl. But i must say after watching these images i may be change my taste style. I totally agree with you! The mac and cheese there is delicious! I'm so glad I tried it!